You can do it. We can Help. The Home Depot is your trusted source for home improvement products, services and know-how. Special Terms: Member rewards not eligible on the purchase of gift cards or orders redeemed with gift cards or vouchers. Tax and shipping charges are not included in member rewards. 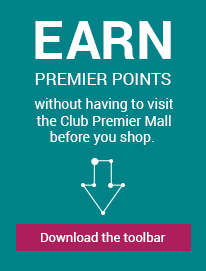 Coupon or promo codes not displayed on this site are ineligible for member rewards. Additional exclusions include cancelled or refunded orders, purchases made from links where the member is leaving the Home Depot web site. Member rewards are eligible for online orders and payments made through the HomeDepot.com website. Purchases made offline are not eligible for rewards. Most orders will be shipped via UPS or Fed Ex Ground from The Home Depot distribution center to your delivery address. You can expect orders shipped UPS or Fed Ex ground to arrive within 2 to 5 business days. Applicable sales tax added to order. We accept Visa, MasterCard, American Express and Discover Cards. We also accept The Home Depot Consumer credit card, as well as Home Depot Commercial Credit Accounts (both PROX and CRC). Most new, unopened merchandise sold by The Home Depot can be returned within 90 days of purchase, unless noted in our Return Policy Exceptions. If your purchase was made with The Home Depot Consumer credit card, The Home Depot Commercial Revolving Charge or The Home Depot Commercial Account, you have 365 days from date of purchase to receive a full refund, unless noted in our Return Policy Exceptions. Returns for purchases with valid proof of purchase will be exchanged, refunded in cash, credited to your account or refunded via The Home Depot store credit (“Store Credit”) as determined by The Home Depot. Refunds will be issued to the original form of payment (credit card, PayPal, etc. ), unless noted in our Return Policy Exceptions. Returns for purchases made with a gift card or a store credit will be refunded as a store credit.